Perfectly located in the heart of downtown Anchorage, the Westmark Anchorage is a blend of sophistication and convenience. Take in the awe-inspiring views of the surrounding Chugach Mountains and Cook Inlet from the private balconies that adjoin every guest room. Check your email on our complimentary high-speed internet or simply relax in the always popular Solstice Bar & Grill. The Westmark Anchorage features meeting rooms and a full catering staff to accommodate any event. 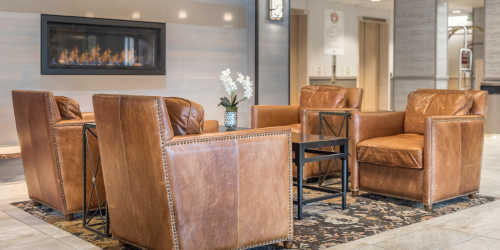 Adjacent to the Egan Center and Performing Arts Center and blocks from the 5th Avenue Mall, the Westmark Anchorage is the perfect hotel choice for downtown accessibility. The Westmark Anchorage offers supreme comfort in Alaska’s largest city.